Food safety has always been a global concern. According to the World Health Organization, about 420,000 people die each year due to food poisoning. In the U.S. alone, the total cost caused by food-related concerns—spanning from medical costs to economic loss due to halted productivity—range from $55.5 billion to $93.2 billion a year. This cost has increased by 20% in the last four years according to IBM. 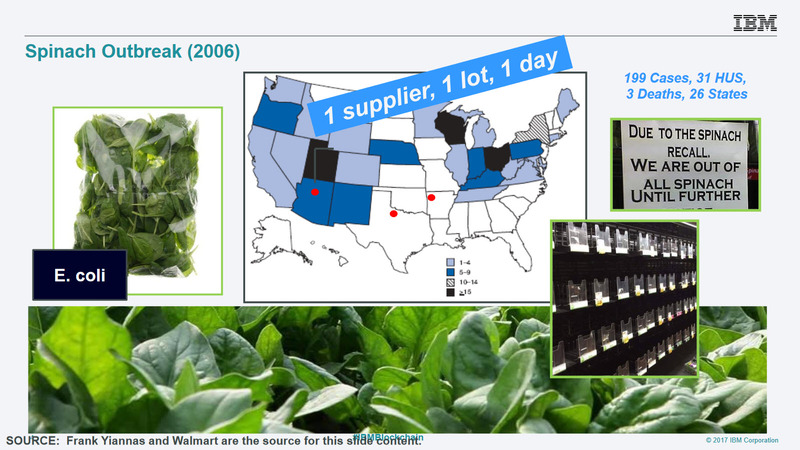 In 2006, the E.coli spinach outbreak affected 26 states. There were 199 cases. Among those affected, 102 were hospitalized and 31 suffered kidney failure called the hemolytic-uremic syndrome. There were three confirmed deaths after the outbreak. In 2011, the Listeriosis Cantaloupe outbreak affected 28 states. Of the 147 cases, 143 people were hospitalized and the death toll reached a staggering count at 33. More recently, a new outbreak of Salmonella infections has been linked to the imported Maradol Papayas. There were 173 cases in 21 states with 58 people hospitalized. There was a single confirmed death. This August, millions of eggs were recalled all over Europe. The eggs tainted with the insecticide Fipronil were imported from the Netherlands to supermarkets across Europe. These food-borne illnesses happen all over the world. In most cases, it takes authorities days if not weeks to isolate the problem before it can be contained. Why does it take that long to trace the source? It’s slow because participants in the food industry supply chain each have their own information silos. Food can only be traced one step at a time. Blockchain in combination with the Internet of Things (IoT) might just be able to solve this problem. 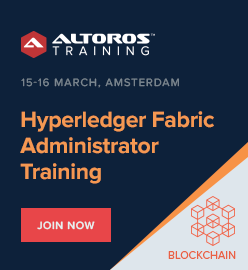 How can blockchain and IoT help? 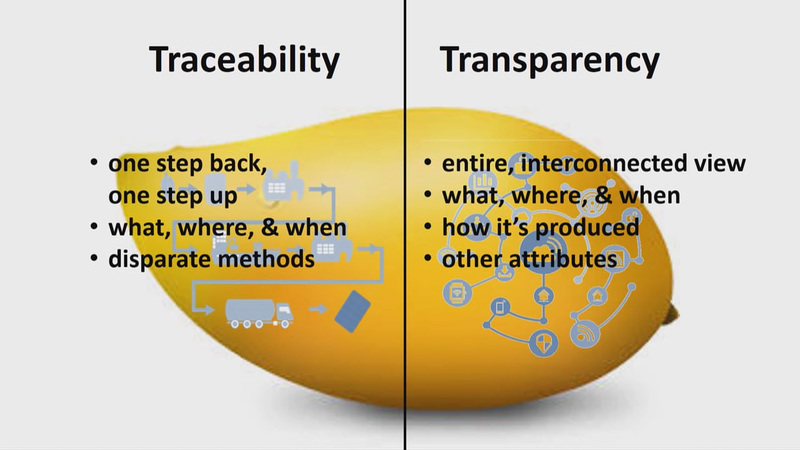 Rather than going through all the basics, we’re going to instead highlight two things that blockchain brings to the food retail industry—traceability and transparency. 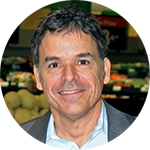 According to Walmart’s Vice President of Food Safety, Frank Yiannis, traceability includes data points, such as farm location, lot number, and harvest date. On the other hand, transparency tells us how food was produced, was it grown organically, were pesticides used? With blocklchain’s innate decentralization of information, the need for intermediaries is removed. 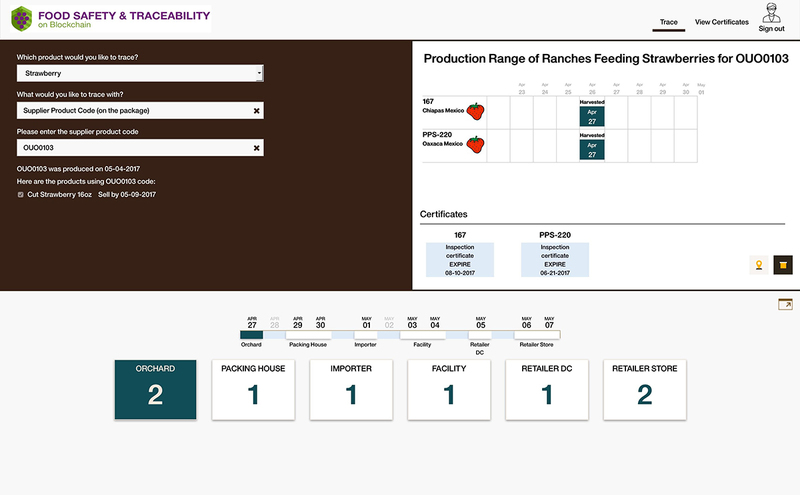 Tracing one step at a time when tracking food because organizations have separate information silos is eliminated. Improves food safety. By being able to pinpoint tainted food in a matter of moments, prolonged outbreaks can be mitigated. Fresher food. With each step being tracked in blockchain, consumers can see exactly when a food product was harvested. Less food wasted. According to the Food and Agriculture Organization of the United Nations, up to one third of food produced is wasted each year. This is in part due to clean food being thrown away during outbreak scares. Being able to isolate tainted food down to a farm and a batch level can stop this. Deters food fraud. Each step in the supply chain is visible to everybody. Fraudulent food entering the market—like the horse meat scandal of 2013 in Europe—can be avoided. Promotes responsible food practices. Similar to fraud detection, with each step in the process visible on blockchain, producers will be more likely to adhere to safe practices. Builds consumer trust. Consumers could have the power to scan individual food products and receive information about a food item from the farm it came from, to the grocery store. The IoT technology, such as sensors and RFID tags, enable real-time data to be written on blockchain as food products pass along the supply chain. Both technologies serve to help Walmart enforce systems such as the Hazard Analysis and Critical Control Point and comply with food safety regulations and regulators such as the Food Safety Modernization Act and the Food Safety and Inspection Service. 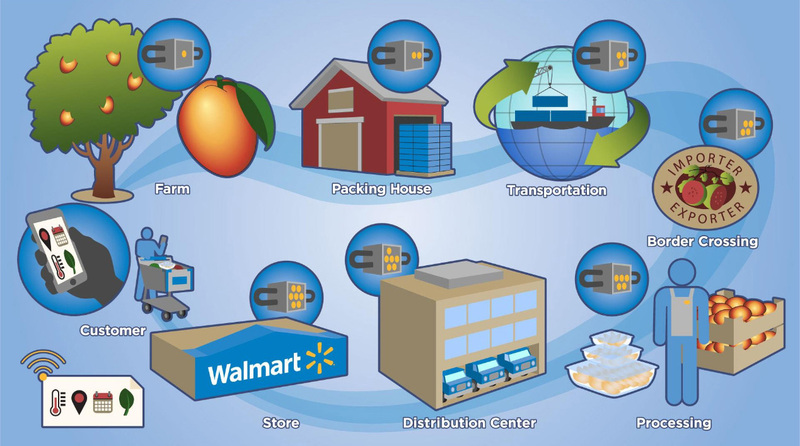 In 2016, Walmart, IBM, and Tsinghua University began collaboration on a blockchain pilot that traced pork in China using the IoT sensors along the supply chain. Later, a second blockchain pilot was launched, tracing Mexican mangoes in the US. Though the scale of the projects were limited, there were positive results seen. Frank demonstrated how food tracking that would usually take seven days could be done in 2.2 seconds with blockchain. 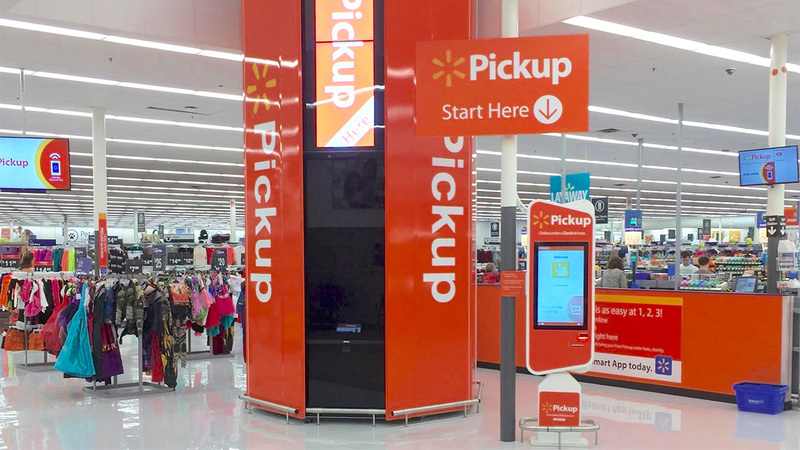 Walmart also uses IBM Watson to predict patterns in retail by analyzing policies and variables that influence the supply chain. In addition to speeding up how food is traced, Walmart can also speed up deliveries by predicting road traffic. Wei Shen of WalmartLabs and Laura Wynter of IBM Watson Research Center delivered a paper that describes a hybrid approach to predicting near-time traffic condition. 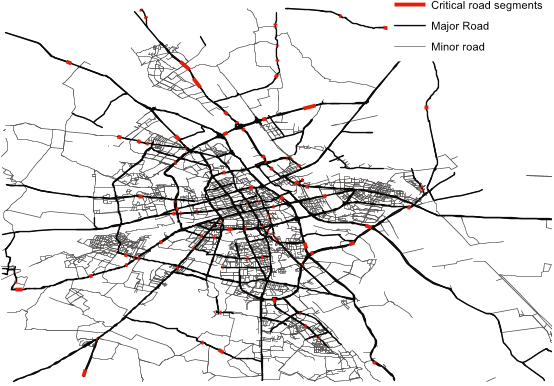 By gathering and analyzing data from both fixed-located sensors—e.g., inductive loops, roadside radar sensors, and traffic cameras—and GPS devices, logistic agencies can work out proactive traffic operation strategies and provide drivers with more precise travel time estimates. Such an approach has the potential to significantly improve the delivery process. 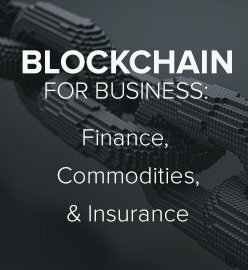 Several other food industry players announced the expanded blockchain collaboration with IBM. Aside from Walmart, these include Dole, Unilever, Golden State Foods, Tyson Foods, Kroger, Nestle, McLane Company, and McCormick and Company. Using IBM’s enterprise-grade blockchain platform, the consortium aims to significantly reduce the time it takes to isolate the source in the event of another food-borne outbreak. “We’re all in the business of trying to improve the quality of life of people that we serve around the world,” added Frank. Though this post focuses on food safety in the retail industry, the same points also apply to most if not all businesses in retail. 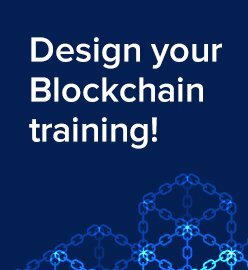 Any industry that relies on a supply chain can be made transparent and more efficient with blockchain. Aside from blockchain, Walmart has also invested heavily in IoT, machine learning, and analytics. Up to 240 million customers each week shop at Walmart. Whether they shop on the web, on mobile devices, or in the physical stores, these customers generate copious amounts of data for Walmart. Data points collected by Walmart allow their developers to create applications such as an in-store mobile navigation systems that enable customers to search for items and see exactly where they are located. There’s also the Walmart mobile app which sees continued development and currently has features including ordering online and picking up orders at a store, refilling pharmacy prescriptions, and finding which stores have a particular item in stock. Walmart also has an app that generates e-receipts, eliminating the need for paper receipts. These e-receipts makes it easier for customers to return items and also for Walmart to detect item return fraud. With how much Walmart is investing in digital transformation, we may certainly see a time where the emerging technology of blockchain and IoT for food safety merges with machine learning and analytics. Automated recalls of tainted products perhaps? Only time will tell. 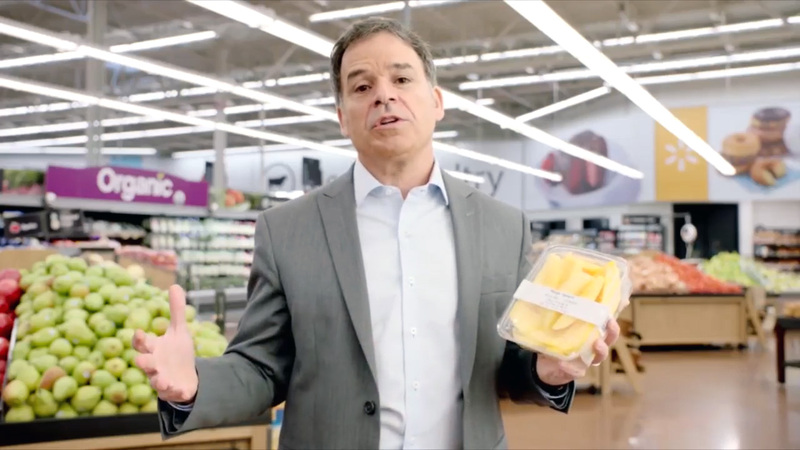 Frank Yiannas is Vice President of Food Safety at Walmart. He oversees all food safety, as well as other public health functions, for the world’s largest food retailer, serving over 200 million customers around the world on a weekly basis. Frank’s scope of responsibilities includes food safety oversight of Walmart’s stores, Neighborhood Markets, and Sam’s Clubs. Training and education of associates, food safety oversight of thousands of food suppliers, and a number of critical regulatory compliance issues also come under his purview. 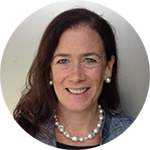 Brigid McDermott is Vice President of Blockchain Business Development, responsible for driving the growth of Blockchain for IBM, including leading partnerships, alliances, acquisitions, and ecosystem development. She is a senior strategy and sales executive in the technology sector with extensive experience in developing growth initiatives and leading in their execution. Brigid’s recent focus includes IBM’s future state strategic vision with focus on big data and insights/analytics.